Today work slowed dramatically. Frankly, this morning most of the team were not fit for work, English director included. Exhaustion affected all the diggers, despite having had an excellent meal of beef and potatoes prepared by ex-chef Richard the night before. We were really weak. Some blamed the biscuits, others the absence of coffee. Probably we all just havent eaten enough, now that nights are so cold – more potato needed, and less airy bread at breakfast and lunch. We are heartily fed up of the local artisanal panini, which are built rather like the Pantheon – all crusty dome with nothing inside. Little work got done. Most of the beefcake diggers had retreated to finds washing before lunch and it was only thanks to Helen and Andy (who had been on admin and survey duties), and above all our American volunteers, that any digging got done. Work has consisted of trowelling, drawing and fine cleaning for photos. The latter activity produces clouds of chalky dust – most of which has ended up in my lung – so a dust mask came on. However this is very necessary for the work of Kelly Madigan who is describing the complex layers for her Museum of London context sheets. Scott and Fabio are finishing the last bit of the façade area – a deposit on top of the mortar surface in front of the steps. Although mostly modern, this layer produced a bronze coin of the Arcadius, emperor of the Eastern Roman Empire from AD 395 to 408. I hope he might have appreciated our efforts to prolong his fame. Sondages were also begun in the fill of the baths but here the deposit was much poorer than anticipated. 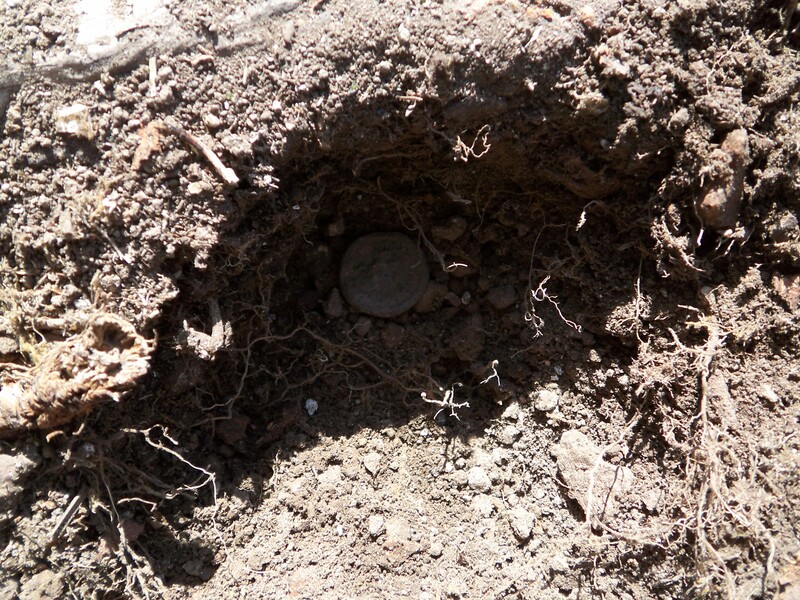 Only one sherd was found, in place of the hundreds of amphorae we were expecting. 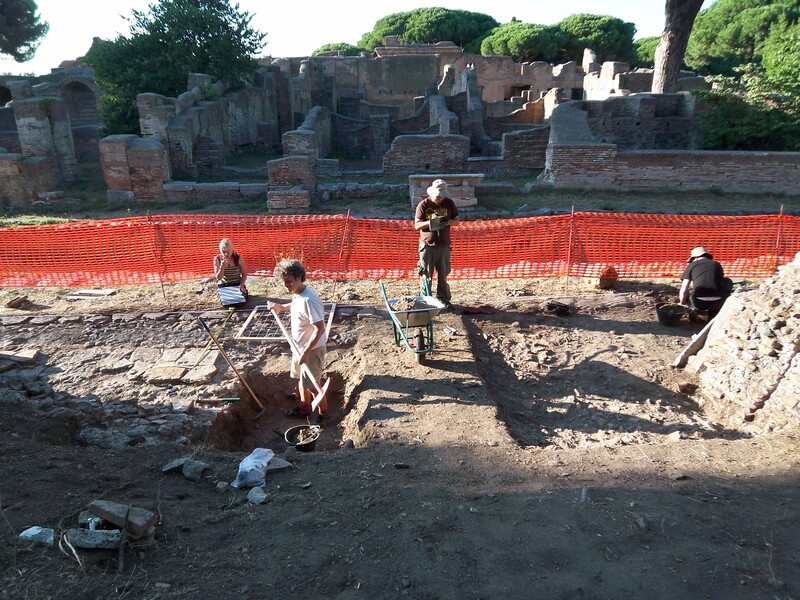 Perhaps the fill of our new cistern will be richer, and so produce some finds which might help us to date at least the second paving of the forum, which covered it.